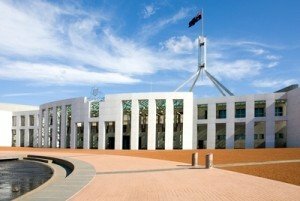 Senior members of the Liberal party have left open the option of changing the superannuation policies announced in the 2016 Budget, potentially after the election. Superannuation has dominated the election campaign in recent days, after Foreign Minister Julie Bishop was unable to explain the changes to Transition to Retirement pension. The changes are apparently unpopular with the Liberal party base, to the extent some are refusing to donate. It is being reported that the changes didn’t go to the party room for approval. Cabinet Secretary Arthur Sinodinos said that “not all individual measures” were discussed by the party room prior to the Budget. However he has left open the option of changing the superannuation policy, saying there would a period of consultation and a party room debate. “If we win the election, there will be consultation on various changes and then legislation presented to the party room,” he said on Sky News. However this may only expend to minor issues and implementation. Update: Malcolm Turnbull has said the consultation would be on the “administrative implementation” and drafting into legislation of the policies, while the “substance” or the policy was “all settled”. Shortly after the Budget was released Julie Bishop said there would be a consultation period after legislation was drafted to “get feedback on unintended consequences”. “This is what happens when you make big, drastic changes to superannuation without care and without consideration. And what this means is for vast swathes of middle Australia, they are losing confidence in the Government’s ability to manage the economy, the Government’s ability to make changes to superannuation which are carefully thought out and carefully considered,” he said. Is that all??? Could you believe that some are even refusing to vote for Turnbull???? Trust me … I am a politician? Hey, I just saw a Flying Pig??? ?